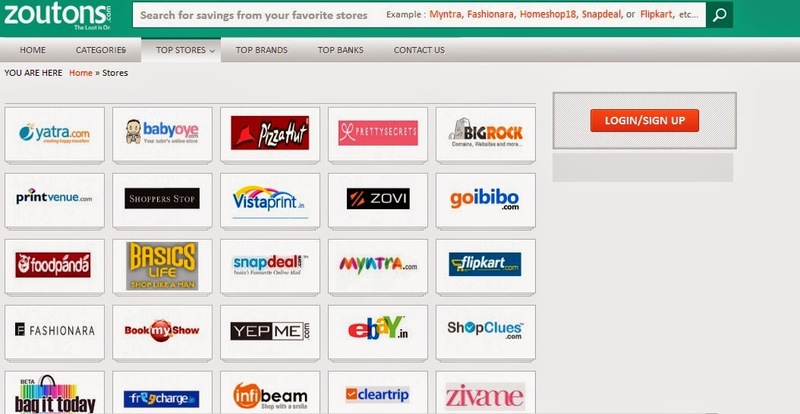 Aarti Krishnakumar: Zoutons.com- online shopping was never this fun!! 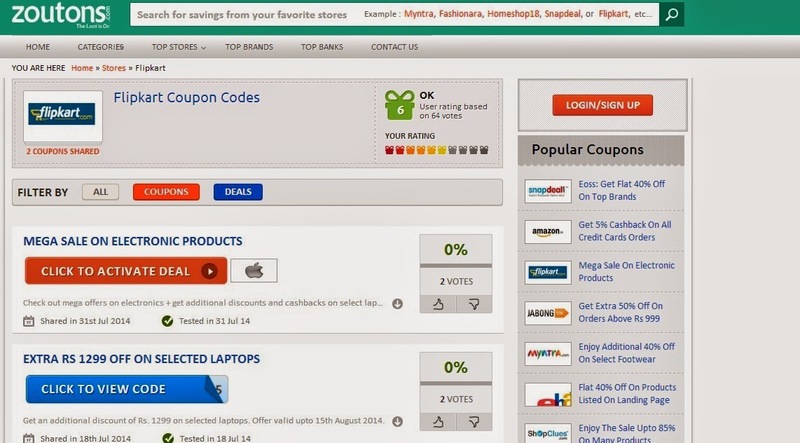 Zoutons.com- online shopping was never this fun!! One such site I stumbled upon recently that has changed the way I shop is Zoutons.com. There are days when all I do spend a good amount of time window shopping, but then there are moments when I hop on to the site, click on the product I want and am done with my purchase in a few minutes. 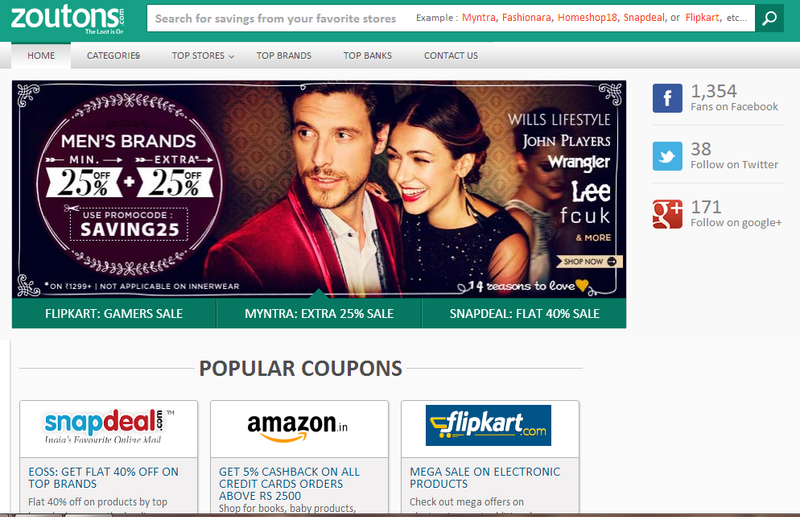 What is cool about this site is that it offers discounts and deals on products purchased from various other online ecommerce websites like Flipkart, Amazon, Snapdeal, Jabong, Myntra, Homeshop18, printvenue, Cleartrip and so much more. The highlight of Zoutons.com is that it offers deals across product categories, so I can choose from clothes, gadgets, appliances, beverages, baby products, car accessories and a whole host of other verticals as well.